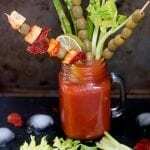 Have you tried a completely fully loaded bloody Mary? I am talking tofu, sun-dried tomatoes and olives that are part of the garnish? 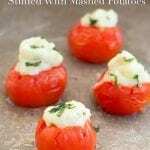 Would you like to try a tomato dessert recipe? 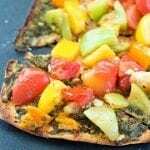 Or how about a pizza loaded with COLORFUL tomatoes ? If you answered “YES! !” to any or ALL of the above questions, then this vegan brunch e-book is going to give you the best food tasting experience ever! I created 6 amazing vegan brunch recipes that you absolutely must try! That bloody Mary will change how you look at this Sunday brunch staple. You will never want to have an ordinary bloody Mary ever again. The recipes in this book are satisfying to vegans, vegetarians and meat eaters because I set the recipes to be all about comfort food. Mashed potatoes, pizza, puff pastry and granita can make all your guests drool over the recipe. 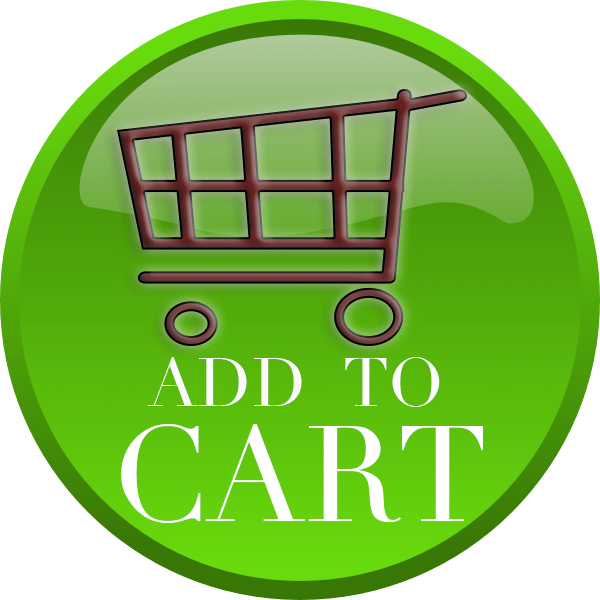 This Vegan Brunch E-book is only $1.99! This would be a perfect gift to give a friend or family member. Or keep it for yourself and impress your Brunch guests with a delicious. I made sure that none of these recipes take more than 30 minutes to make because I didn’t want you slaving over a hot stove. Instead, spend the time with your friends and family. Catch up on their week’s happenings, share jokes and plan for the week ahead. I made sure that these vegan recipes are light and hearty. The best part of any vegan brunch is that it doesn’t have the heavy eggs, oils and cheeses. 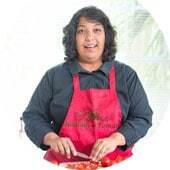 My menu has hearty and light brunch recipes centered around the almighty tomato. The fully loaded bloody Mary alone is worth getting up early on Sunday morning. 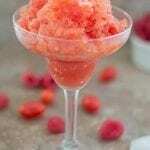 It is a mocktail, but, you can easily turn it into an alcoholic version. 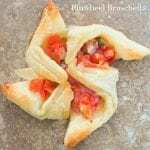 The cover photo is one of my favorite ways to use tomatoes. 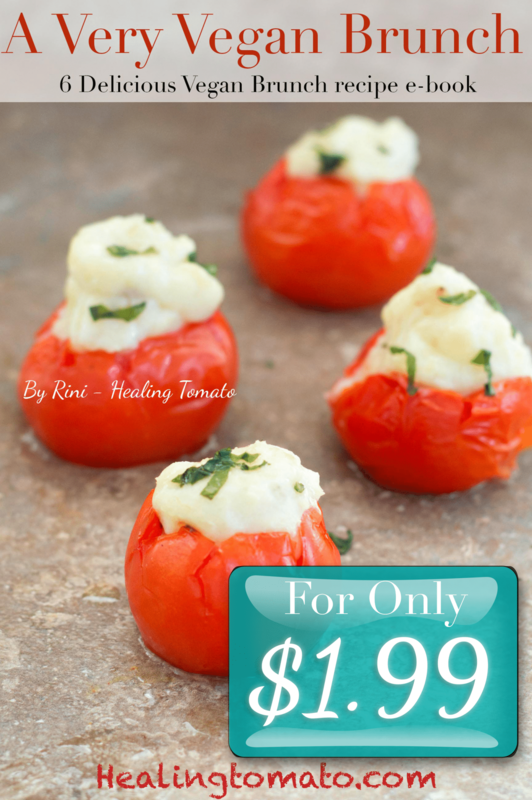 I stuffed cherry tomatoes with a delicious vegan version of mashed potatoes. 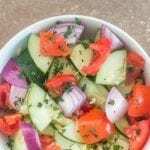 You don’t want to miss the recipe! 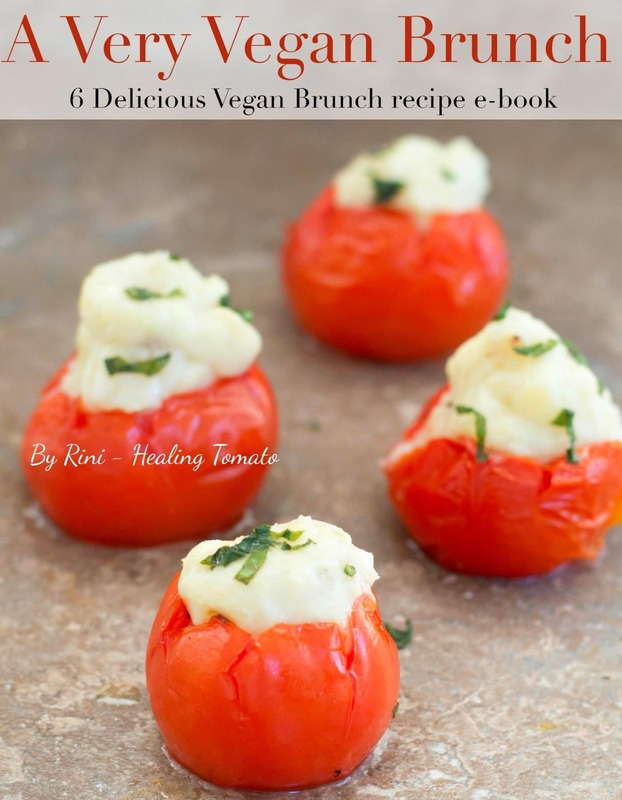 Get this vegan brunch e-book today and tell me YOUR favorite recipe in it. I can’t wait to hear from you!